Dr. Pedro Gomez is one of CBM's global health advisors. 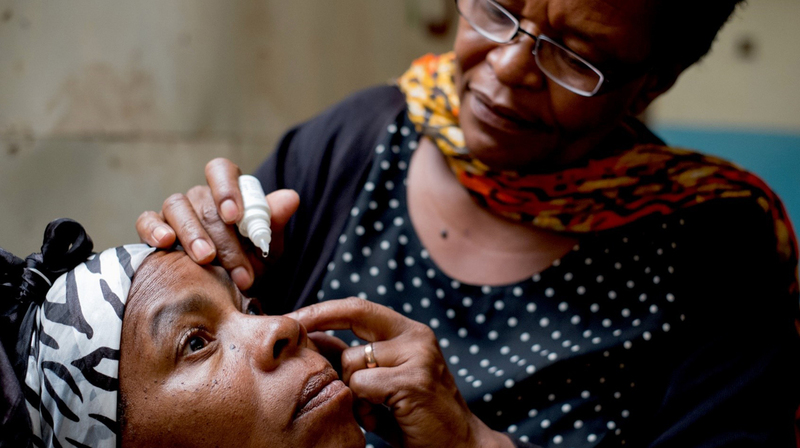 In this blog, he explains what CBM is doing to tackle Diabetic Retinopathy in some of the poorest communities in Latin America. The incidence of Diabetes is increasing worldwide and so, therefore, is diabetic eye disease. All patients with Diabetes are at risk of developing Diabetic Retinopathy. Of 415 million people known to be living with Diabetes (IDF Diabetes Atlas 2015), over one third will develop some form of Diabetic Retinopathy. Diabetic Retinopathy is damage of the retinal capillaries vessels, leading to leakage and capillary blockage, which provokes hemorrhage and ischemia of the retinal tissues. It may lead to loss of vision and eventually blindness. Although Diabetic Retinopathy can cause blindness, in most cases, it is avoidable. This condition is often asymptomatic in early stages and regular eye examinations are the only way to determine the condition of the retina and take the appropriate action. Careful management of Diabetes and early eye disease detection can help slow costly and debilitating visual impairment and blindness. Why is Diabetic Retinopathy is increasing worldwide? Risk of Diabetic Retinopathy is determined by the interplay of genetic and metabolic factors: ethnicity, family history of diabetes, older age, obesity, unhealthy diet, physical inactivity and smoking. Excess body fat and physical inactivity are the strongest risk factors. However, healthcare and education also play a vital role. Poor eye care facilities are a huge risk factor – 25% - 35% of patients with Diabetes Mellitus type 2 have never had their eyes examined. Problems with literacy in poor communities lead to difficulty reading educational materials and people are not aware of the risks. • Supporting Eye Clinics that have retinal services with equipment and training to screen, detect and treat Diabetic Retinopathy. • Patients Education/Health Management: CBM in different countries has held Diabetic Retinopathy workshops for all levels of eye health providers. • Effective Management: CBM helped develop the first Latin America Diabetic Retinopathy Guidelines. Images: Top – A patient gets a check-up from ophthalmic nurse Valena Matai, coordinator of the diabetic eye-screening department at Kilimanjaro Christian Medical Centre, during a diabetic outreach at Mawenzi hospital in Moshi, Tanzania.